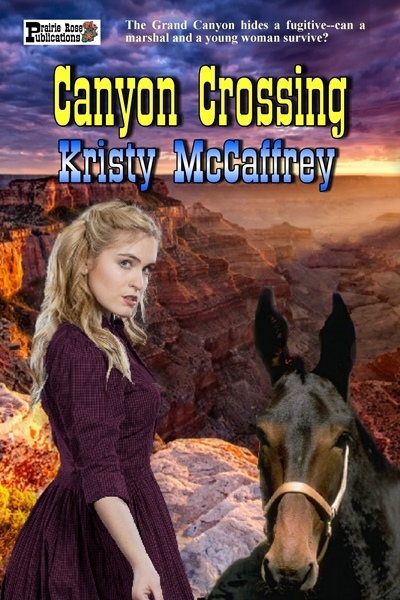 Hannah Dobbin travels through Cañon de Chelly, home to the Navajo, in search of a sorcerer who murdered her pa. Only when she retrieves the silver cross taken from her father's corpse will she be able to free her pa's spirit, and allow him to be at peace. 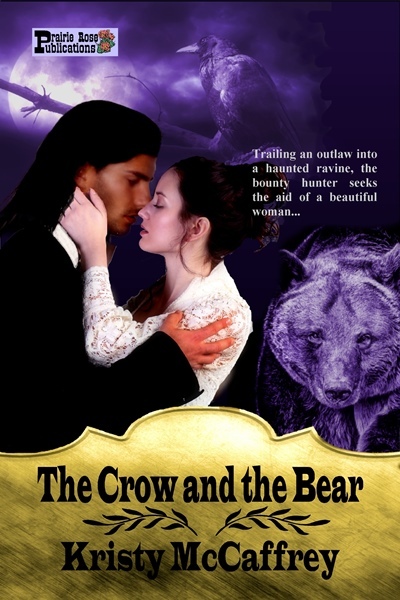 Bounty hunter Jack Boggs—known as Crow—is on the trail of a vile Mexican bandito when he discovers Hannah and her companion, a superstitious old Navajo woman. He knows he must protect them, but with the shadows of Hallowtide descending, more dark magic is at hand than any of them know. Jack Boggs came upon the camp in the blackness of night. A form lay near a smoldering fire. A quick perusal told him it was female. Disappointed, he rested his gun against his thigh from where he crouched. He'd followed these tracks all day, but instead of leading him to Ignacio Lopez, they ended here. He had no interest in befriending anyone, but perhaps the woman might have seen Lopez in the area. Shocked by the sound of a gravelly, Indian-inflected voice, he couldn't believe a woman had crept up on him. He let the Colt slide to the ground before him, then slowly raised his arms. “Stand, and move away from that gun,” she said. Hopefully, she wouldn't notice the second one still holstered. He stood. The metal dug into his back again—from the feel of it, likely a double-barreled shotgun—prompting him forward. He stepped over his weapon, and heard the Indian woman retrieve it. “Hannah, wake up,” the woman said as they approached. Jack chanced a glance over his shoulder. A short, elderly Navajo woman eyed him with suspicion. The female on the ground stirred, then sprang to her feet. 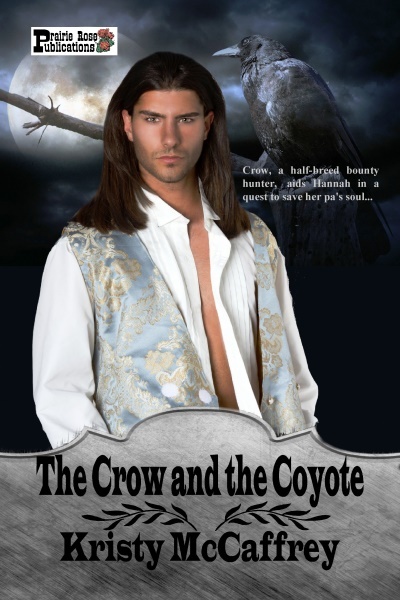 Forced closer by the persistent Sani, he could see Hannah's disheveled dark hair framed a youthful complexion. “I told you we were followed,” the old woman said. “The name's Jack. 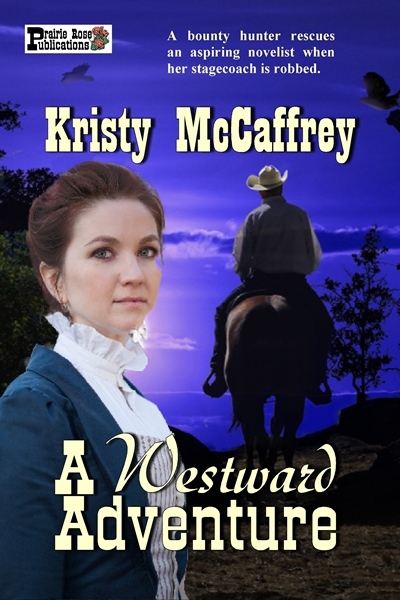 I'm in pursuit of bounty.” He ceased inching forward, and the shotgun dug into his back once again. “A bandito by the name of Ignacio Lopez. I mean no harm to you and soft shoes back there.” He nodded over his shoulder. Sani came to stand beside Hannah, gripping the shotgun in one hand and his weapon in the other. Even in the dark, he sensed her brittle glare. “We might,” Hannah answered. “Would you care to join us at our fire?” She scanned behind her. “At what is left of our fire?” she amended. Hannah motioned for Sani to give it back, which the old woman did, her features schooled in a skeptical frown. 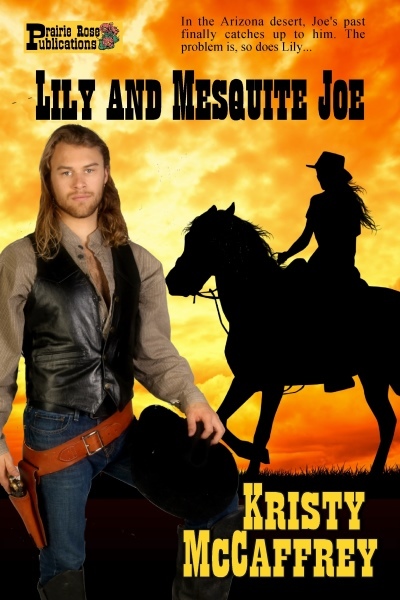 He wasted no time holstering the weapon, hoping to gain their trust. They all settled around the barely-glowing embers. Hannah stoked the fire, re-igniting a small blaze, then spoke in soft undertones to Sani. Jack caught snippets of Spanish mixed with a dialect he assumed to be Navajo. He knew only a smattering, the Navajo language far more complex than any he'd encountered in the past few years of hunting bounties in Texas and the territories. Hannah turned her gaze upon him, now viewing him as sternly as old Sani. After a moment of contemplation, she murmured again to the Navajo woman. “It's rude to talk behind someone's back,” he said, removing his hat and running fingers through shoulder-length hair. Even in the darkness, his jet-black hair was hard to miss. That had to account for why she guessed the moniker frequently attributed to him. “You tell him,” Sani said. Pinpricks pierced the back of Jack’s neck, bringing his attention fully to the young woman across from him. “Who is this Yazhe?” he asked. A foreboding of apprehension caught Jack by surprise, sending a shiver down his spine. He knew something of spirits and superstitions, but he also knew that men begat violence for no other reason than that they could. He also knew that the two women before him, while spouting paranoia, were entirely lucid—and deadly serious. That concerned him most of all. Hannah awoke before dawn from her pallet by the tiny fire she and Sani had allowed themselves. For the first time since her pa died some three weeks ago, her dreams had been calm. She turned on her side and watched the man called Crow, slumbering several feet away beside a horse he’d retrieved the previous night. The presence of both had kept the spooks at bay, and a feeling of safety washed over her. 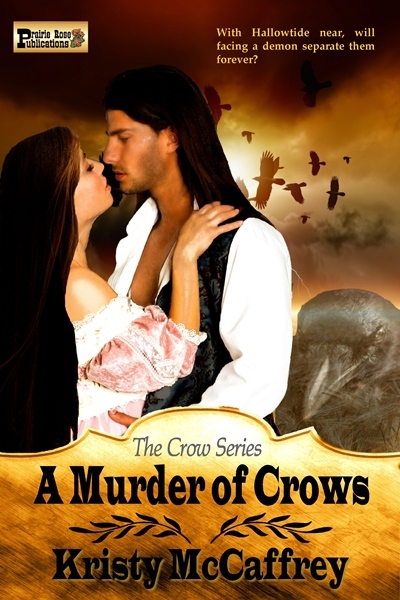 She wondered if trusting the man was wise, but Sani grudgingly accepted him. Truthfully, they could use his help. None of the Navajo men would accompany them—they insisted on distancing themselves from the actions of two women not in their right minds. Hannah knew the beliefs of the Navajo—that stirring up spirits would not end well—but she had no choice, not if she wanted to help her pa. She knew, however, that if she and Sani weren’t careful they could both end up dead. 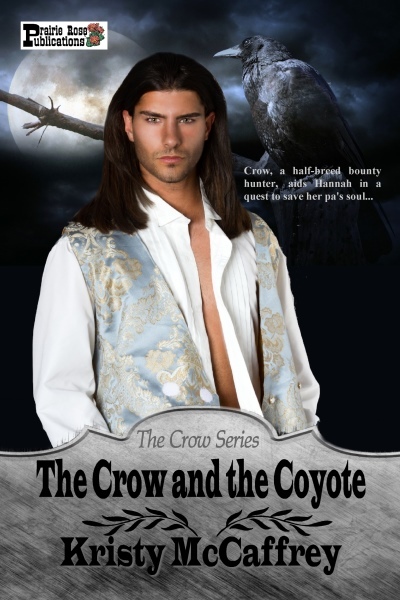 Mr. Crow consumed a large space in this world with his obvious physical presence, and a look in his dark eyes that was both remote and calculating. She sensed he walked a fine line between justice and violence. It didn’t frighten her, but she did wonder if she could trust him. He awoke, stood, and immediately checked his horse. Then, he looked directly at her. Hannah pushed to a sitting position and nodded. Sani snored softly beside her. He produced a bag of grain and fed his animal. “Did you walk?” he asked. “No. Our animals are up that way.” She indicated the direction with a nod. Hannah watched him, liking the way his eyes slanted slightly down, and the stubble that covered his face tanned from the sun. His hair was so black—like an Indian—but he didn’t have the look of the Navajo, or the Hopi, or any of the peoples in the area she and her pa had visited. “Sani has visions,” she replied.